Help Support The CVR Blog and buy your new releases from us! 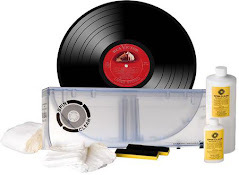 interesting article from across the world, the message is the same, vinyl lovers are everywhere! In markets and antique shops across Yemen's capital city of Sanaa, a vast vinyl heritage has been gathering dust in cardboard boxes for the past 50 years. Songs by a generation of Yemeni singers, with lyrics about unrequited love and inner turmoil, were impressed on to records after a rush of ad hoc recordings and studio sessions across the country throughout the 1960s. Chris Menist is an avid collector and rescuer of old records, and spent two months in 2011 scouring markets in Sanaa and Aden for any bit of vintage vinyl he could lay his hands on. This search has culminated in Qat, Coffee and Qambus: Raw 45s from Yemen, a compilation of reissued tracks from among his best finds, released last month on the Dust-To-Digital record label. "The Yemeni music I was finding reminded me of early blues recordings," says Menist, who was in the country just weeks before the start of protests against the leadership of Ali Abdullah Saleh. Arcade Fire have announced plans to release a limited edition 12” vinyl of their 'Sprawl II' and 'Ready To Start' remixes for Record Store Day. The tracks, taken from their 2010 album 'The Suburbs', will both be remixed by Arcade Fire themselves plus additional mixes from Canadian producer Damian Taylor. 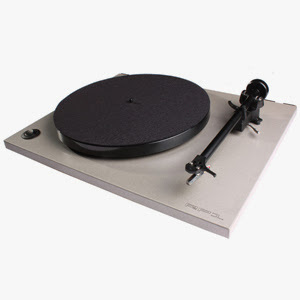 Only 1000 copies of the 12” will be available at shops participating in Record Store Day on April 21st. SIX WEEK HEADLINE TOUR FOLLOWED BY OPENING SLOT ON MARILYN MANSON'S "HEY CRUEL WORLD TOUR"
SANTA MONICA, Calif., March 5, 2012 /PRNewswire/ -- Interscope Records recording artist, THE PRETTY RECKLESS, fronted by vocalist Taylor Momsen, guitarist Ben Phillips, bassist Mark Damon, and drummer Jamie Perkins celebrate the release of their EP, HIT ME LIKE A MAN with a six week North American tour followed by dates on Marilyn Manson's Hey Cruel World tour. TPR headline tour, The Medicine Tour, with the support of The Parlor Mob, commences March 9th in Tucson, Arizona at Club Congress. HIT ME LIKE A MAN, produced by Kato Khandwala, includes live renditions of "Make Me Wanna Die" and "Since You're Gone" which were recorded at London's Hammersmith Appollo on November 4 & 5, 2011. The tracks originally appeared on The Pretty Reckless' debut full length, Light Me Up which The New York Times called "salacious, convincingly muscular, and unnervingly rowdy." HIT ME LIKE A MAN includes three new tracks; "Under The Water," "Cold Blooded," in addition to the title track. New Video Filmed For "Two Joints"
SANTA MONICA, Calif., March 5, 2012 /PRNewswire/ -- Macy Gray, newly signed with 429 Records, is preparing for the release of her stunning new album "COVERED"—a collection of all new recordings of handpicked songs she's chosen to reinterpret in her own inimitable fashion. With a buzz kicked off by an announcement in Billboard and Rolling Stone, Macy is already confirmed to appear on prime media outlets including Conan, Late Show with David Letterman, Piers Morgan Tonight, Tavis Smiley, VH1 and more. Produced by Hal Willner (Lou Reed, Metallica), Zoux and Macy Gray, "COVERED" tackles material largely drawn from indie rock songs from the last decade—interpretations her fans will be familiar with as she's been performing them live over the years. The album contains biting, dark signature tracks such as Arcade Fire's "Wake Up" or My Chemical Romance's "Teenagers" which Gray subversively overhauls into something wholly her own. Also included are short skits featuring J.B. Smoove, Nicole Scherzinger and a guest appearance by Idris Elba. "COVERED" will be released worldwide on 429 Records March 26th with a special iTunes edition available which contains exclusive remixes of "Sail" and "Here Comes The Rain Again." In addition, Macy is planning a worldwide tour and has just completed the first video from the project. Helmed by famed director Robert DeVico (Pink, Lenny Kravitz, Missy Elliott), Macy's first video from "COVERED" will be "Smoke Two Joints." The wildly colorful, party-inspired clip features Macy and her bandmates performing against a picturesque Hollywood Hills backdrop and will be available to media outlets this month. Portuguese death prog masters DISAFFECTED will release their second full-length album, "Rebirth", on May 25 via the German label Massacre Records. 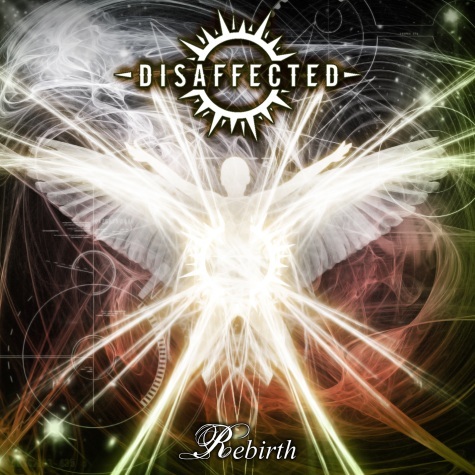 The CD was recorded between August and December 2010 at The Pentagon in Lisbon, Portugal and was produced by Fernando Matias (MOONSPELL, GWYDION) and DISAFFECTED. In 1951, at Sam Phillips' Memphis Recording Service (later known as Sun Records), Ike Turner and His Kings of Rhythm (then billed as Jackie Brenston and His Delta Cats) recorded "Rocket '88," considered by many to be the first rock 'n' roll record. In 1955, Elvis Presley made his first television appearance as he performed on the Shreveport radio show "Louisiana Hayride," which on this occasion was simulcast by local station KSLA-TV. On this day in 1959, "Venus" by Frankie Avalon was the #1 song. In 1959, in New York, Bobby Darin recorded his composition "Dream Lover," accompanied on piano by Neil Sedaka. In 1962, the Marvelettes became the first Motown performers to appear on CBS-TV's "The Ed Sullivan Show." In 1963, in London, the Beatles recorded "From Me To You" and "Thank You Girl," which were released the following month in the UK (and in late May in the U.S.) as the A- and B-sides of their next single. 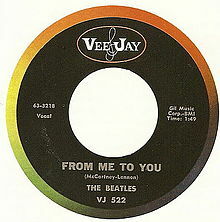 "From Me To You" was one of the last songs to be credited to McCartney-Lennon. 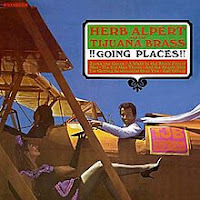 Soon afterward, their composer credits began appearing as Lennon-McCartney. Paul later stated that he first realized the impact of their songwriting when he heard a milkman whistling "From Me To You." In 1963, country music singers Patsy Cline, Cowboy Copas and Hawkshaw Hawkins were killed when their small plane crashed near Camden, Tennessee. Cline was 30, Copas was 49, and Hawkins was 41. In 1965, the Miracles released the single "Ooo Baby Baby." 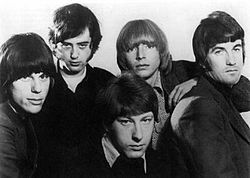 In 1965, the Yardbirds released "For Your Love", which will go on to be a Top Ten hit in both the UK and the US. Also in 1965, the Mannish Boys released their first UK single, "I Pity The Fool," featuring young vocalist David Bowie, then still known as David Jones. In 1966, Staff Sergeant Barry Sadler's "The Ballad of the Green Berets" topped the Hot 100, selling more than two million copies in the first two weeks after its release. It made #24 in the UK. His follow up single, "The A-Team", would be a complete flop. In 1968, sales of "Simon Says" by The 1910 Fruitgum Company reach the one million mark during the short-lived Bubblegum music craze. In 1969, the first issue of the rock magazine Creem was published. In 1971, at the Ulster Hall in Belfast, Northern Ireland, Led Zeppelin gave the first public performances of songs from their upcoming album, including "Black Dog," "Stairway To Heaven," "Going To California" and "Rock And Roll." The concert was the start of a 12-date Thank You tour that included some of the same UK halls and clubs they appeared in when they were first starting out. The tour contracts stated that they would play for their 1968 fee if club owners agreed to charge patrons 1968 prices at the door. In 1977, "The Love Theme from A Star Is Born", from the film starring Barbra Streisand and Kris Kristofferson, was the top tune in the US. It reached number 3 in the UK. 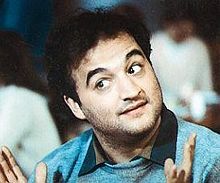 In 1982, John Belushi died of a drug overdose at the age of 33. He and Dan Aykroyd had a hit record as The Blues Brothers in 1978 with a remake of the Sam and Dave classic, "Soul Man", while their album "Briefcase Full of Blues" reached #1 on the Billboard 200, going double Platinum. In 1983, Wham! made their U.S. television debut on ABC's "American Bandstand." In 1994, singer Grace Slick was arrested for pointing a shotgun at police when they arrived at her home to break up a reported domestic dispute. She was later sentenced to perform 200 hours of community service and a attend dozen Alcoholics Anonymous meetings. In 2000, Madonna went to the top of the UK singles chart with her version of the Don McLean hit "American Pie". It was her 50th UK hit and ninth UK #1. In 2000, MC Hammer became a preacher at the Jubilee Christian Center in San Jose. In 2002, MTV began airing "The Osbournes," a reality television show that followed the daily activities of rock musician Ozzy Osbourne and his family.